» Forum » Restoration » Restoration questions » How do you label wiring on Playfield swaps when dishwashing harness? » How do you label wiring on Playfield swaps when dishwashing harness? How do you label wiring on Playfield swaps when dishwashing harness? Use an electronic label maker that prints on self-stick vinyl material. I use either blue painters tape and paint pen or the electricians number book. I used to use a sharpie and painters tape but I had an instance where 50% washed off and and another 20% became nearly unreadable. Paint pens to come of as easy. Even in scalding hot ultrasonic water. And then you label everywire as you desolder? Harness and labels go in the dishwasher? Wow, I shouldn't type responses so early in the morning. The tape will stay stuck. I was saying sharpies can wash off. Paints won't. You have no worries with blue painters tape and paint. If you're worried, make up a few without the harness and send them through the wash to test. Read thru your guide vid, and now I'm rethinking this lol.. lead in the dishwasher.. hadn't realized coil dust had lead. I hate to spend 300 on a cleaver but I may do it. I know my wife would not be happy about the lead, as safe as I'm sure it is. Ultrasonic cleaners - blue tape still ok with paint pens ... anyone know? hadn't realized coil dust had lead. A trace, it's not like it's made of lead. There is 1000x more lead in her lipstick and hair dye than any coil dust. I cut all the switches and coils off, then wash.. Wire for the most part has a "memory." When you start laying it out on the back of the new play field it almost automatically goes to the right place.. And if there's ever a question you have the switch and coil matrix charts to double check. Keep all the old switches for unrestored games as spares. Replace all switches and diodes on a restore. It's a restoration/rebuilt. Don't reuse that old junk..
Also go to Tacoma Screw or Fastenal or whatever and buy a bunch of the hardware new in Stainless. A 100 pack of stainless #6 nylok nuts is like $8 or something. Not worth messing with and the stainless will never corrode or tarnish. 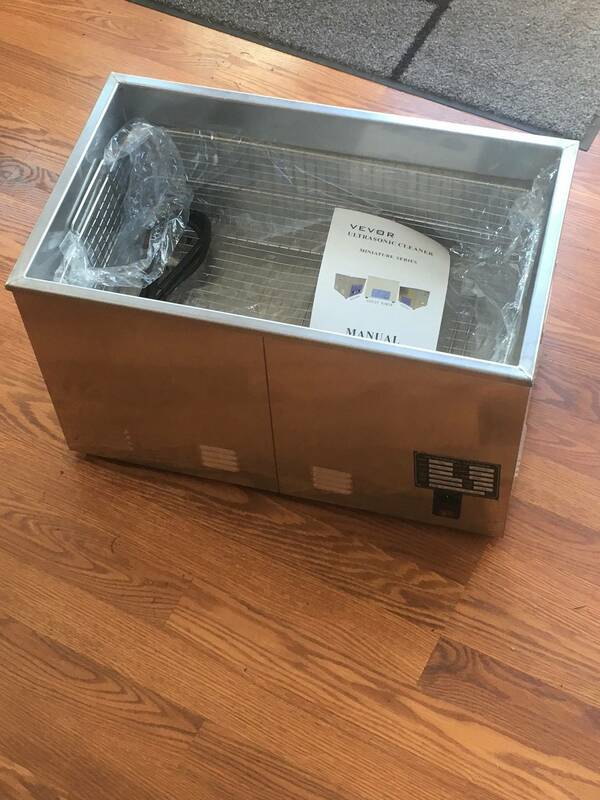 Edit: You'll NEVER regret buying a LARGE heavy duty ultrasonic cleaner. They are awesome! But NEVER EVER put anything in them with art or stickers, etc, on them or they will be ruined. Yes. I have done 10 harnesses in an ultrasonic cleaner with blue tape and a black paint pen. Thanks radius118 ! Cutting all the switches sounds better than desoldering.. hadn't considered that. I'll have to run by Tacoma screw as well, they are just down the street from work. Looking at cleaners.. 22L good size? Can I get away with smaller? Looks like it has to be connected to water possibly ? 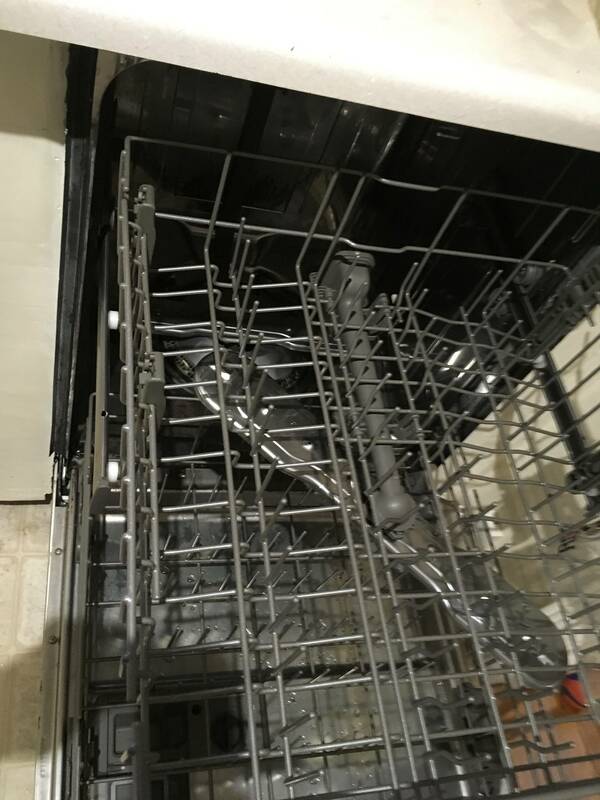 I fill my whole dishwasher with circuit boards and blast them clean before I start working on them (just plain dishwasher liquid). I have a kitchen oven that I use for powdercoating. I have a giant battery charger that I use for anodizing aluminum. I use gel toilet bowl cleaner to burn off the battery corrosion from MPU boards. I use a soldering iron to heat up worn guitar frets before pulling them for replacement. I use a toaster oven to heat up BGA circuit boards before putting them in the hot air station. If I was uncomfortable with any of the above, I would not do them. Like Vid, I re-purpose all kinds of stuff for general use. I used to have a stove in my shop for powdercoating too. I also used the stove top to boil out carburetors. Oh and heat up press-fit bearings so they went on with less effort. Etc, etc..
You don't need a water supply for it and the machines aren't plumbed for it. The ball valve on the bigger units is for draining. Depending on the level of filth on the parts, I either use plain water or 80/20 solution of water and simple green.... I usually use the simple green solution. There is one thing to watch out for. Do NOT leave parts in the cleaner longer than necessary. Certain zinc coatings can discolor if left too long. Especially that satin-y silver finish on some mech brackets, etc. You will have to experiment. I usually turn the heater on to 60 degrees C and then run for 10 minutes and recheck. Also need to be careful with plastic parts - posts, etc.. Stainless can be run for as long as you want - doesn't hurt it one bit. I put every piece I possibly can in the ultrasonic unless it has art or decals on it. Even parts that are too big.. I will leave the lid off, do 1/2 of the part then flip it over. If you really want to see how awesome they are you can bring some dirty parts up to my place and I will demo my unit for you. Vid is on the money for circuit boards. You can wash them in the dishwasher *without* soap without harming them. It is best practice to remove all socketed components before doing this, but you don't have to if you blow off with compressed air (wait.. didn't we have a discussion about air compressors? ) and allow to dry for several days in a warm place. But don't put any boards with relays in the dishwasher. Nightmare to get all the water out unless you pop the relay cover off. Vid is also on the money concerning lead from coil dust. Don't even worry about it. You breathe worse stuff just following that Seattle Metro bus into work in the morning. Heck there is probably more lead in your drinking water than what you'll get off those wiring harnesses. Same with micro switches. Don't immerse these in water or in the ultrasonic. But you're going to replace them all, right? right? BTW, buy these in bulk from Mouser or something. You can get 100 of them pretty cheap. No disrespect to our beloved pinball parts suppliers, as they've gotta make a profit and make their house payment too, but I'd rather buy 100 in bulk. While you are buying switches, add 250 1N4004 diodes to your order too. Switches are supposed to use 1N4001 and coils 1N4004, but you can use 4004 on switches with no issue. The only real difference between 1N4001-1N4007 is the amount of amperage the diode is rated for. They are otherwise interchangeable. Another old school trick for wiring harnesses: Blech-white. Yeah, the stuff they use to clean whitewalls on tires. If you find that dishwashing and ultrasonic cleaning of the harness just isn't getting it as nice as you'd like, try some Blech-white. Spray and scrub with a brush. Wear dishwashing gloves. Now I've heard that the new Blech-white isn't as good as the old stuff, but I have no first hand experience with this since I still have several gallons of the old stuff stashed away. One day I will find out. I have also heard of using oven-off on wiring harnesses but I have never tried it. Ok that's it for now.. I am way behind.. Got work to get finished! Wow you write a novel radius!! Haha. thanks for all the info -- that's great! I was looking at that cleaner yesterday, probably going to be going with it. You didn't mean that things clean that quickly in there did you? I was thinking it took days of running it like a tumbler? 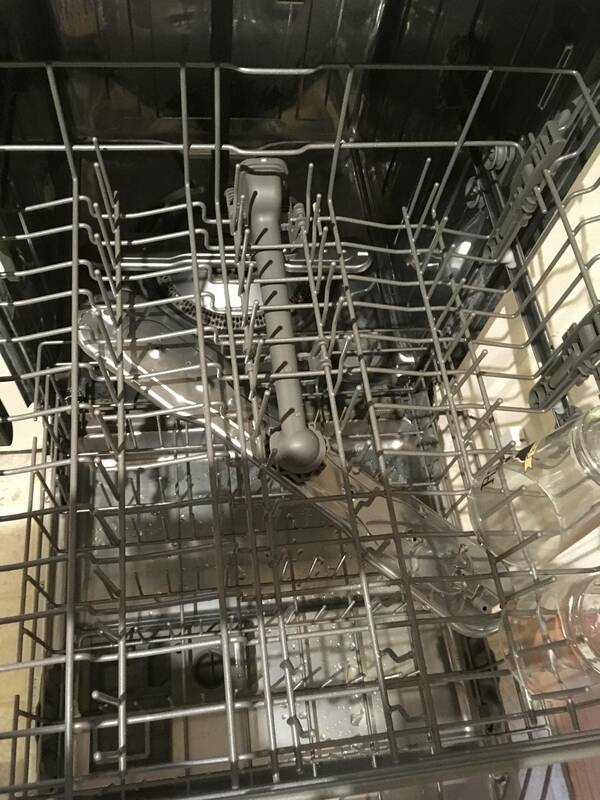 Another question -- is this dishwasher weird? I have double Wands that I assume both spin during cycles.. looks like the harness could get caught even if on top rack if I ran it in there. You didn't mean that things clean that quickly in there did you? I was thinking it took days of running it like a tumbler? Things clean FAST in the ultrasonic. If it's not clean in 30 min, it's time to use something else. Thats how most newer ones look. Give the wand a spin before you start the cycle and make sure nothing is hanging it up. Zip tye the wand so it doesn't spin. Won't hurt anything. Water pressure is the only thing that makes it spin. This.... mostly.. I have had some really grungy stuff that needed longer - usually stuff that some moron "lubed" with WD-40 or something. Hell I had to wash all the ball shooter parts from my LOTR in my *solvent tank* it was so bad! I like it cause you can keep all your stuff separated and organized and do 3 separate batches of stuff at the same time. They are no good for bigger stuff, but for stuff like flipper plates, mech parts, etc, the vibratory is good. If you decide to get a rotary that Lortone is a very good unit and very reasonably priced, especially on that ebay link. Do NOT be tempted to buy a Horrible Fright unit. They are junk. If you don't have a vibratory polisher, the HF ones are ok from what I understand. I've never used one myself. But whatever you do get *some* kind of polisher. Ideally you'd have a really big one like a dillon, a smaller one and then a rotary. But a smaller vibratory and a rotary will do you just fine. You'll be amazed what else you use them for too. Like your wife's jewelry. When I do my games if it's metal and if it will fit in any of my polishers then it goes in. Shines everything up, smooths out the metal and takes off the rough edges that sometimes like to cut you when you work on games. As a general rule of thumb, polish for 12 hours then check. If it needs more then do another 12 hours. 24 hours is usually enough but sometimes more corroded, tarnished or oxidized stuff takes longer. Oh and one more thing. If you're gonna to anything that is corroded, do that stuff last. The little bits of corrosion will contaminate your media. If you use the rouge walnut media, you need to ultrasonic clean again in pure water to get all the red dust out of everything. Heat is not necessary. Oh and another thing.. If you plan to polish hex spacers, nylok nuts, etc, do yourself a favor. Tighten the nuts onto screws, put screws into both ends of the hex spacers and put screws into the threaded ends of playfield posts. Otherwise you will spend hours with a pick getting all the polishing media out of them. You have been warned. Ok that's it for today. You have enough to chew on for a week. Have fun! P.S: I know it all seems a bit overwhelming at first and a lot of crap to buy to do this, but it's a good investment. Once you have all the stuff you'll be able to start doing more restorations and major shop jobs. Heck you might even start venturing into doing your own clearing, etc. Plus a lot of these tools transfer over to other projects. 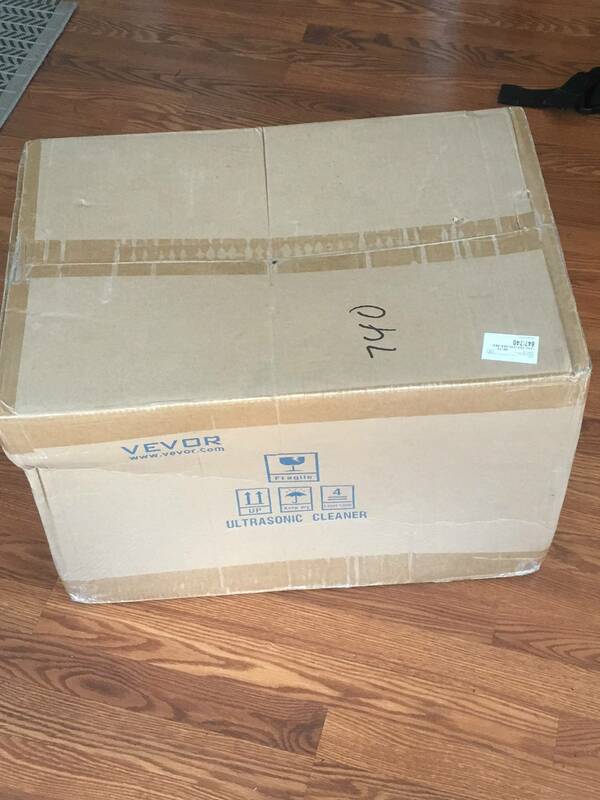 Alright, 30l ultrasonic arrived! Time to clean some parts this weekend! Gents, I just bought myself an ultrasonic (5L, I think - a small one) - It did not come with instructions though. I know to fill it with super hot (boiling?) water so it doesn't have to heat up... but I am curious what the 5/8" hose hookup is for? Is that for draining? Correct. It's nice if you want to have a hose extend to a drain or bucket, etc. to drain the fluids when it gets dirty or used up.